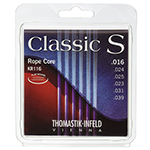 สายกีต้าร์คลาสสิค Thomastik-Infeld KR116 Classic S Series Rope Core are soft steel strings with extra long sustain. 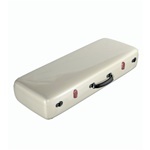 A unique design employing a highly fiexible rope core of weaved steel wires give Classic S ROPE CORE a high playing comfort. 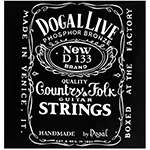 If you're looking for a brilliant, clean sound, these Dogal Live D133C Phosphor Bronze Acoustic Guitar Strings are for you. Dogal starts with a high quality hexagonal steel core. 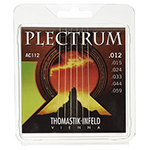 Then artisans at the Italian company hand wind the strings with a special Phosphor Bronze alloy. 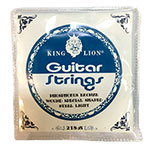 Strings By Mail is the U.S. distributor for guitar and bass strings made by Dogal Strings. 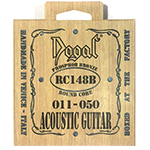 Handmade in Venice, Italy with Phosphor Bronze Alloy and Hand-Wound on a Round Core, Dogal's RC148B Acoustic Guitar Strings offer a Brilliant Deep Sound with a High Level of Sustain and Excellent Responsiveness. 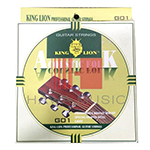 The bass strings E, A, d are round wound on a nylon core for a big warmsound without distracying picking noises. 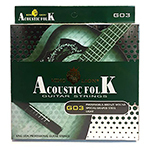 The treble strings are flatwound nylon ona rope core ad sound brighter than nylon strings. 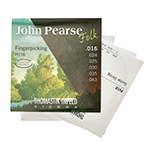 John Pearse is the perfect set for acoustic fingerstyle guitar.